That's correct. Like Rawfox said, they will go live on time at 9am Pacific tomorrow. I thought I could give some feedback on my first week with the Blackland Blackbird machined SB. Brass blackbird was released this past week. Brushed finish is available right now, and polished will be released soon according to Shane. (03-06-2019, 02:13 PM)ischiapp Wrote: Lovely, Ravi. 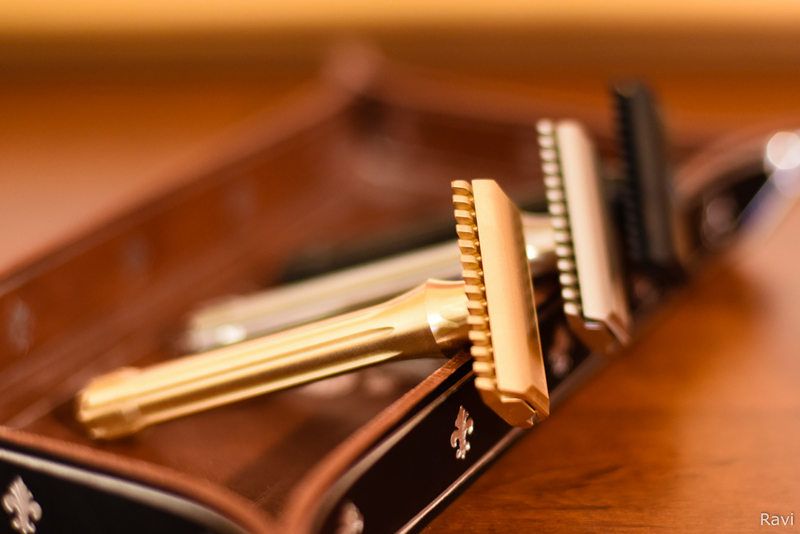 Ravi how would you compare the the brass to the other two razors? I'm not talking about the weight of the brass I'm asking about how it feels on your face. I have a polished and a black oxide Blackbird, and a brass Evolution and the brass razor seems to feel slicker, or have less drag on my face. I'm wondering if the smooth feeling is just from the different razor of if the brass+shaving soap is somehow slicker than the other two materials. 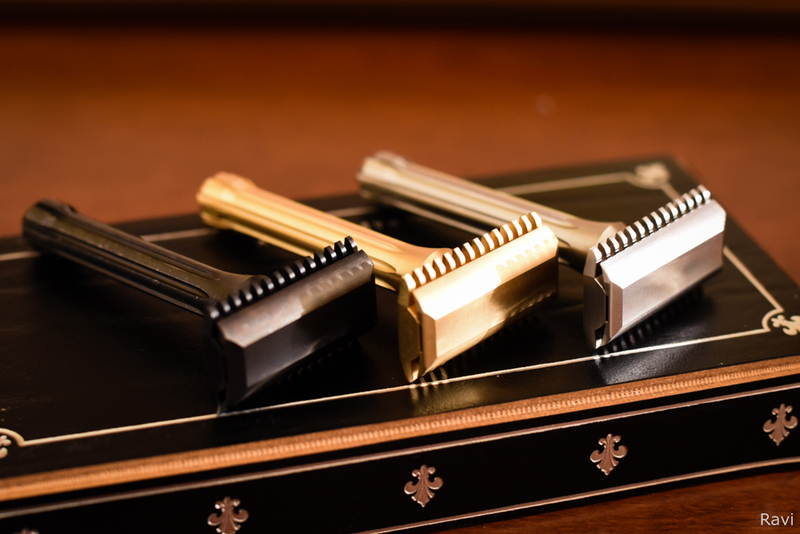 (03-08-2019, 04:07 AM)Sully Wrote: Ravi how would you compare the the brass to the other two razors? I'm not talking about the weight of the brass I'm asking about how it feels on your face. I have a polished and a black oxide Blackbird, and a brass Evolution and the brass razor seems to feel slicker, or have less drag on my face. I'm wondering if the smooth feeling is just from the different razor of if the brass+shaving soap is somehow slicker than the other two materials. I've noted the same phenomenon. My brass Blackbird seems to glide easier compared to my brushed stainless steel one. The black oxide one falls in between for me. I surmise it must be related to the metal surface + soap interplay. Thank you Ravi! I thought I was imagining things but maybe not. It makes me think that the friction coefficient of brass must be lower than stainless steel, assuming that the surface finish is roughly the same. How would you compare the brass Blackbird to other polished razors? Only comparing glide, or how it feels as it moves across your skin? That's a more difficult comparison for me to make, owing to other variables present ie razor head geometry. There's something distinctive about the Blackbird razor top cap wedge shape .. it seems to allow for optimal angle and slide for me, regardless of surface finish, when compared to other polished razors. Overall, I'm very happy with this new brass version I have to say. I may consider the polished brass version once it's available.